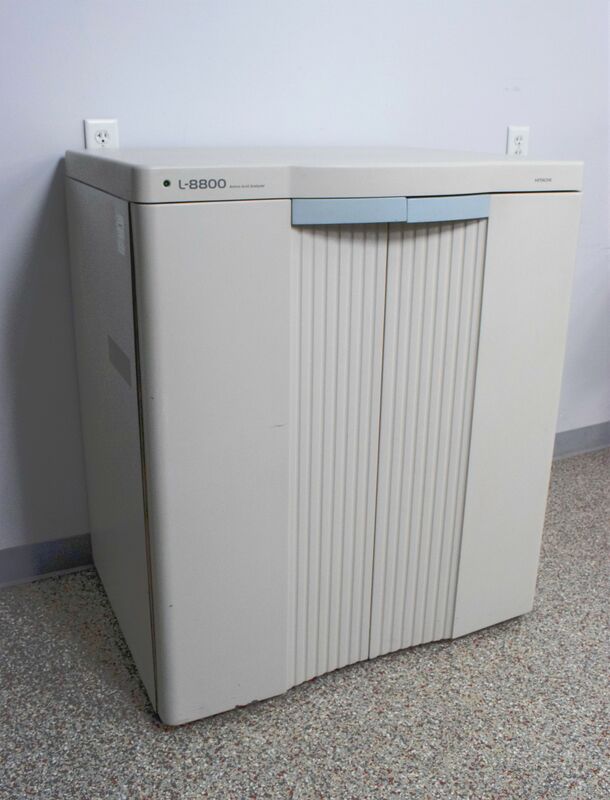 Hitachi L-8800 Amino Acid Analyzer Analytical Protein Hydrolysates 855-0077 . New Life Scientific, Inc.
- Partially tested to initialization. Power tested only. This Hitachi L-8800 is in great condition. This is a high speed amino acid analyzer capable of analyzing physiological fluids and protein hydrolysates. It’s unparalled detection limits can be achieved -3pmol of aspartic acid using ninhydrin reaction methods. Standard amino acid determination takes just 30 minutes. Our in-house technicians did a visual inspection and partially tested. All robotics and internal components initialized with no problems. The ready screen will read “D-Line system is not ready” which just means the computer is not connected.